MC Leads is the Meridian Chamber's referral program. Business individuals from different industries gather on a bi-monthly basis to grow each other’s businesses. Members of the group do business with each other and also share contacts with other members of the group. Please contact the Chamber office to prequalify and see Group availability. "Looking to grow your network with new and reputable referrals? Ready to connect, network and develop member-to-member relationships?" Joining an MC Leads referral program will connect you to new Business. Exchange current business information of interest to group/members in the form of leads. Maintain high business ethics and integrity. Educate and inform members on other businesses in the community. Develop connections and build relationships with fellow Chamber members. Group rosters and meeting information. Please contact the Chamber office 208.577.2441 to prequalify and see Group availability. The MC Leads Group exists to cultivate business relationships and referrals within the group. The members of the group should bring in leads to each meet and be mindful of giving quality referral leads to each other’s businesses. The leads should come from someone you personally know or have talked with, and when contacted, they should be fully aware that the business call/contact will be taking place. The MC Leads Group is open to all guests, however, if one continues to attend (3 time max) and join the group, they must become a Meridian Chamber member. 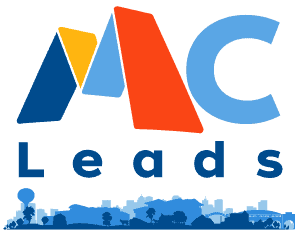 The cost to join the Leads group is $25 yearly for Chamber members at the Supporting level. It will be Free to Chamber members at an Associate level or higher. Each group will have one Chair and one Co-Chair who will be leading the group, and most likely hosting at their business location. Chamber staff will support the group and Chairs, and attend as needed, usually once a month once the group is established. MC Leads Groups will meet 2 times a month, on a day and time to be established as group needs dictate. An MC Leads group shall be an officially established group when the group has 10 or more members. Since the MC Lead group meets two times a month, you are encouraged to attend every meeting to build valuable relationships. You may ask a representative within your company to attend in your place in a meeting if necessary. If you have missed more than 3 times in a row, or 10 times per year, it will be assumed you have left the group, and another person in your business category will be asked to join the group. When the MC Leads group is at capacity – usually 20-25 members, another MC Leads group will be formed (through the Chamber) to accommodate new members. Members must commit to non-disclosure of information that might be construed as derogatory in any nature to other Chamber members. Information at meetings should be understood as neither coming from the Chamber nor substantiated by the Chamber.